This past Tuesday, the heritage tree was taken down from the churchyard. These pictures were taken by April, our youth director, moments before the highway crew came. 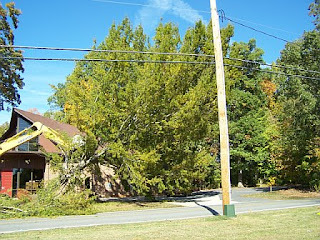 The tree was taken down in about 15 minutes with a track hoe. I am far from being a tree-hugger, but one of the ways I navigate the world is by trees. I grew up in a small, rural community without many street signs on country roads. I learned where to turn on those roads by the positions and kinds of trees. 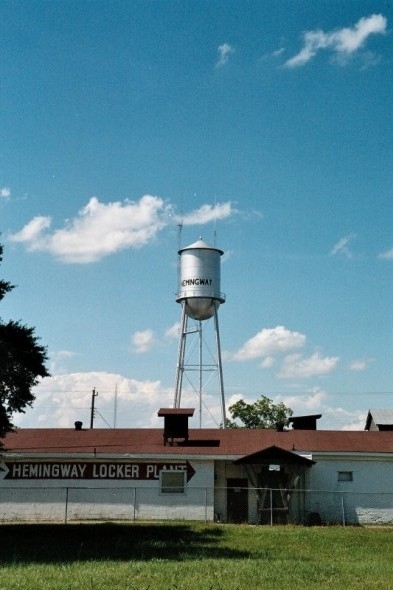 A couple of years after Hurricane Hugo, Kathy and I tried to take a short cut from Columbia to Hemingway for my class reunion; with all the trees gone after the storm, I got lost. Don't worry, I believe I can find my way to the church now, even without this green landmark!! I appreciate trees because trees are more than travel markers and monotonous pieces of the landscape. Trees span generations as countless people pass by them busy with their own thoughts and lives. This heritage tree, planted by Sherwood Cannon in the 1980s, has witnessed many a person come through the church doors---people who came from all walks of life, for all kinds of reasons, at different stages of life and faith. 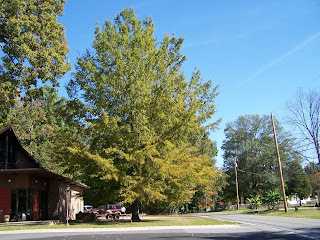 The tree has stood as pallbearers and groomsmen sought its shade from the noonday heat. It stood as a silent witness as the community around the church grew from rural community to booming suburb. I am sure we could calculate the number of Sunday services that have occurred since its planting, but I doubt we could estimate the life it has seen. Now all that remains of this silent witness is several sections of the trunk sitting on a trailer, waiting to be transported to the saw mill. In a few months, a remnant of this tree will come inside the church sanctuary to hang as a cross--- a different kind of silent witness.